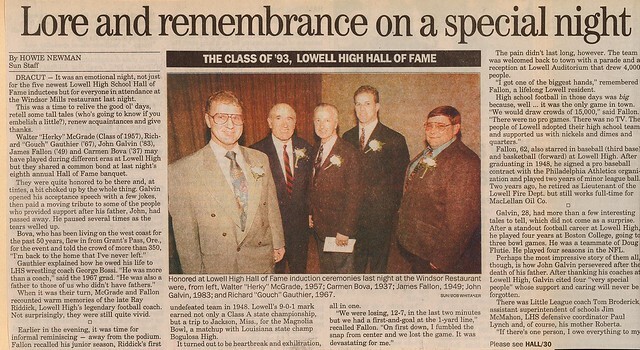 One of the truly gifted athletes to grace the gridiron for Lowell High School during the recent Red and Gray history, John Blake Galvin went on to stellar football careers at both the college and professional levels. One of Coach Walter Nelson’s defensive stalwarts during the early 1980’s, John parlayed quickness, outstanding football sense and toughness into an outstanding high school career. 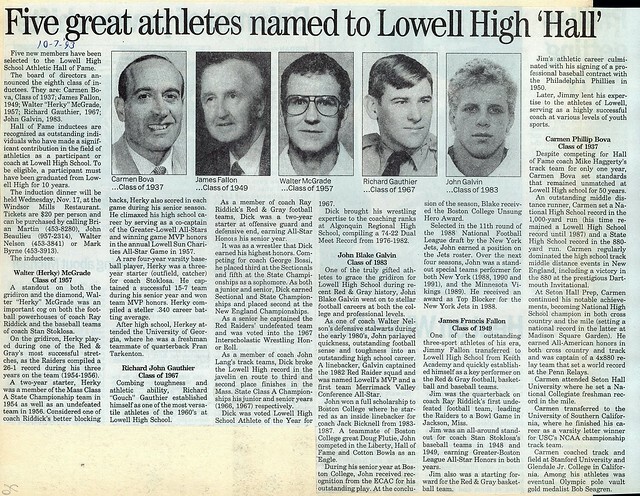 A linebacker, Blake captained the 1982 Red Raider squad and was named Lowell’s MVP, a 1st Team MVC All-Star, and a Boston Herald All-Scholastic. 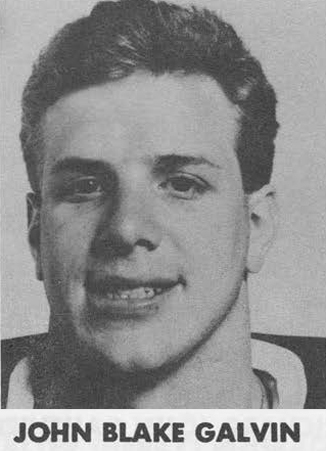 John won a full scholarship to Boston College where he starred as an Inside Linebacker for Coach Jack Bicknell from 1983–1987. 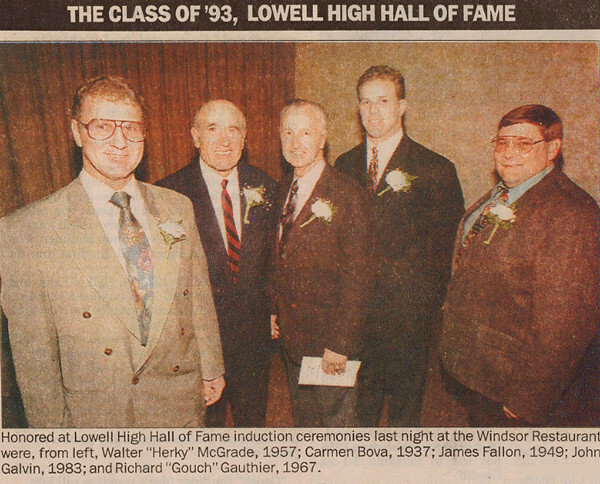 A teammate of Boston College great, Doug Flutie, John competed in the Liberty Hall of Fame and Cotton Bowls as an Eagle. During his senior year at Boston College, John received recognition from the Eastern College Athletic Conference (ECAC) for his outstanding play. At the conclusion of the season, Blake received the Boston College Unsung Hero Award. 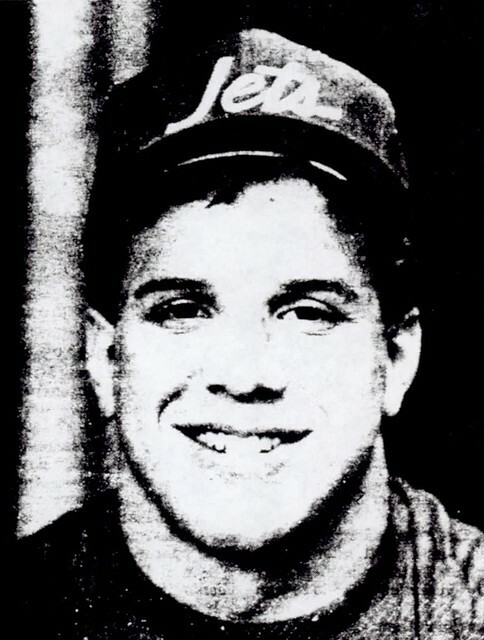 Selected in the eleventh round of the 1988 National Football league Draft by the New York Jets, John earned a position on the Jet’s roster. Over the next four seasons (1988–1991), John was a standout Special Team performer for both New York (1988, 1990, and 1991), and the Minnesota Vikings (1989). He received an award as Top Blocker for the New York Jets in 1988.